This unique design drastically reduces road noise within the cab of your Jeep. This top has been lined with tightly woven acoustic padded inserts to absorb outside noise. You can finally listen to your radio while enjoying open air driving. 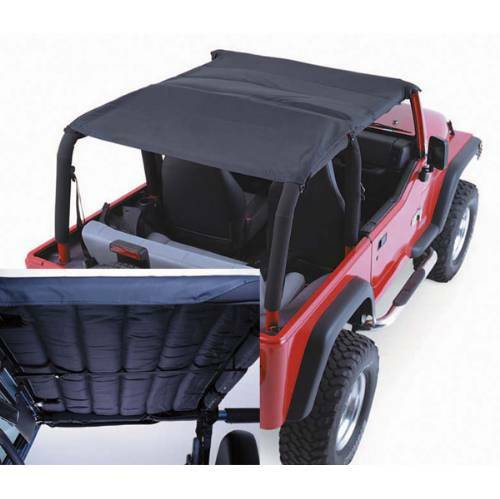 This top provides overhead protection for both front passengers.